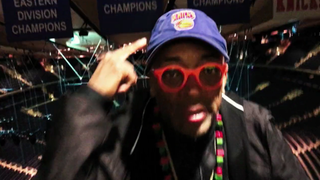 Filmmaker Spike Lee has long been known for his love of New York City. So it was fitting that he became the first New Yorker to serve as grand marshal of Sunday’s New York City Marathon, according to CBS New York. “He was blown away by the fact that we asked him to do it, and we are just equally blown away that he accepted it,” race director Peter Cha Cha told the television news outlet. Alas, Lee is not a runner, but he grew up watching the event. “I grew up in Fort Greene, Brooklyn, and I would go to the corner of South Elliott Place and Lafayette Avenue in Fort Greene” to watch the runners, Lee told CBS. In honor of the event this year, Lee directed a short film to open Sunday’s broadcast on ABC 7. “We’ve had a team of my best cameramen dispersed throughout the greatest city in the world shooting film and footage for us,” Lee told ABC. Read more at CBS New York and ABC 7.